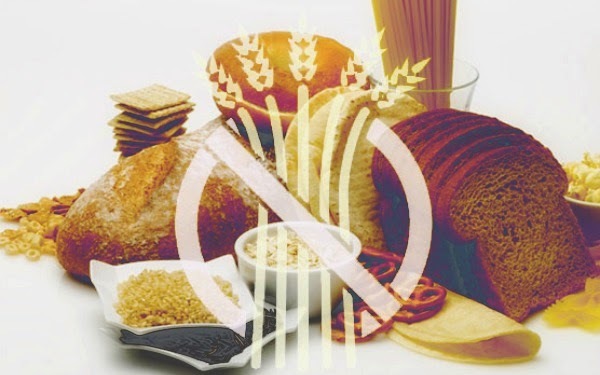 Gluten-free diets are sweeping the nation as more people become aware of the dangers of the problematic protein found in wheat, rye and barley. While their intentions may be for the best, many are falling into the trap of "junk gluten-free" -- foods high in sugar, starch, additives and genetically modified (GM) ingredients. Concerned health advocates believe that in the quest to eliminate gluten from the diet, individuals are, in actuality, exchanging one problematic food for another. "Jeffrey Smith's documentary Genetic roulette: The gamble of our lives reveals how GMOs destroy the digestive tract of mammals. Smith believes that the Bt toxin found in genetically modified food actually creates holes in the gut lining, leading to leaky gut syndrome. This may explain why gluten intolerance has become prevalent since GMOs were introduced into the food supply." What exactly is the leaky gut syndrome and why is it a problem? Basically, when the microvilli in the small intestine become damaged by an offending food, such as GM Bt corn, the gut wall becomes overly permeable and molecules of partially digested food leach into the bloodstream -- thereby triggering inflammation and a vicious cycle of autoimmune symptoms paired with digestive distress. In an unfortunate twist of irony, many gluten-free products rely heavily on GM corn as a substitute for wheat, rye and barley, which further perpetuates the damage in the gut. GM organisms (GMOs) aren't the only culprit. Many processed gluten-free products are also packed with starches (from potatoes and arrowroot) and polysaccharide binders (such as xanthan and guar gum). According to Dr. Campbell-McBride, creator of the Gut and Psychology Syndrome diet (GAPS), polysaccharide carbohydrates (including sugar and starch) damage the intestinal wall and promote leaky gut syndrome. Add to this problem that xanthan gum is often derived from corn, soy -- two top GM crops - and wheat, and processed gluten-free products aren't quite so appealing to the health conscious consumer. "Consumer Reports discovered both organic arsenic and inorganic arsenic in the rice and rice products earlier in 2012. Inorganic arsenic is a known carcinogen. Organic arsenic is considered to be less toxic, but not harmless. The FDA then performed its own study. The agency is under pressure from organizations and groups that want to know what levels of arsenic are dangerous. This is particularly important for groups of people with Celiac disease and who follow a gluten-free diet as they eat significantly more rice than the average person." One way to avoid the dangers of GMOs and heavy metals in our food supply is to stay up-to-date on the latest news concerning the toxins by visiting HeavyMetals.NaturalNews.com and GMOs.NaturalNews.com. We can also focus on alternative organic grains, such as amaranth, millet, buckwheat and quinoa, to reduce risk. Steering clear of conventional corn and soy as well as gum binders is another protective step. Instead of xanthan and guar gum, look for products that use flaxseed, chia or eggs instead. Ultimately, an organic, whole-food diet with limited processed food -- gluten-free or otherwise -- is the ideal.